It’s only appropriate that on my 11th post I should splash out and have an $11 beer. Eleven dollars! I actually had a mini-freak out after I purchased this and started doing calculations in my head of what 365 craft beers might cost. Thankfully doing calculations in my head is not actually something I can do, so I remain in blissful ignorance. Nevertheless I soldiered on and poured a glass. You can’t really see it in the picture but it’s a lovely colour, a clear, bright gold. It looks really bubbly in that picture but actually the carbonation is quite soft. Although I’ve only had it once, I think I’m a little bit in love this beer. It’s tasty, well-balanced, and just kind of… fun. I guess that mad brewer knew what he was doing after all. PS – I just started a Twitter account. I’ve always been horrible at using Twitter (I can’t keep my rambles to 140 characters) but watch me try @Beerforayear. The bubbles on the side of you glass (see pic) shows the glass is dirty. Each point of dirt is a nucleation point for the CO2 to escape out of the liquid. 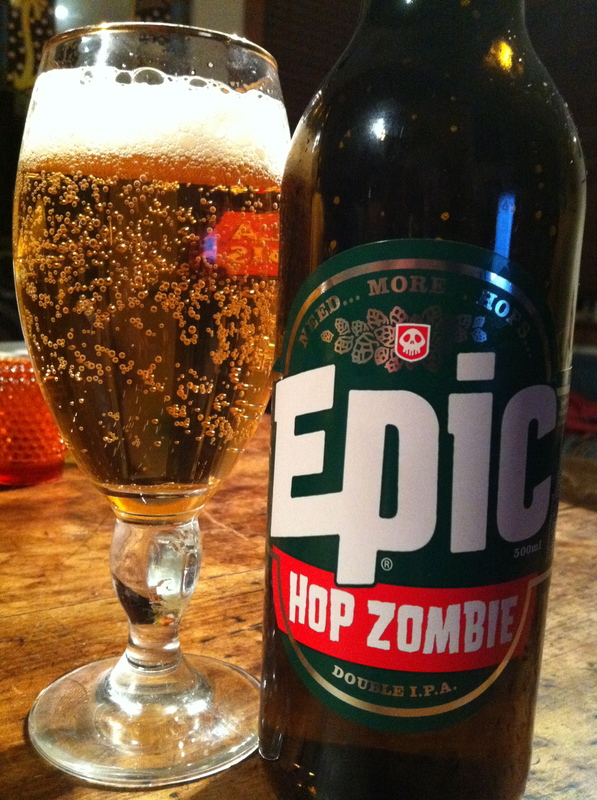 Pleased you enjoyed the Hop Zombie, it was fun to brew. Thanks for the tip Luke… And for exposing my terrible dish-washing skills!